To who got the issue about the photo files saved on SD card are not completely displayed in Gallery after recent system update, you can refer to the situation you might encounter below to get the possible solutions. We are afraid that not all the suggestions can work for your cases. In case they are not, we still highly suggest you contact ASUS ZenTalk at http://www.asus.com/zentalk/forum.php?gid=36 to get further help. When the photo files on SD card can be still correctly displayed in File Manager but not Gallery or Google Photos, please do try the following suggested methods. If (1)~(2) can’t work, it’s possible that there are some problematic files or bad sectors available on the SD card to stop the media engine working normally. If that’s the case, we suggest you unplug the SD card and plug it with your PC. Copy all the files to backup from SD card to your PC. Then re-format SD card and copy the backup files back to SD card again. 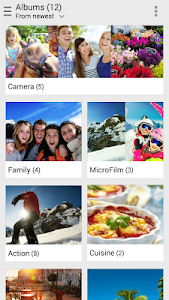 After that, you may re-plug the SD card on mobile device and then check if all the photo files can be seen then. 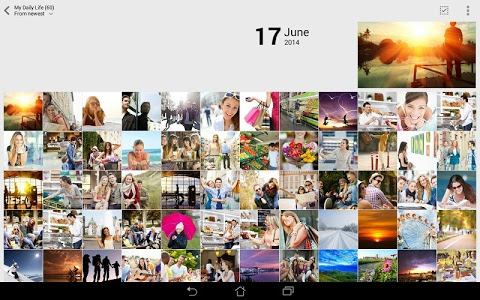 ASUS Gallery is a great app that helps you manage your photos and videos. ASUS Gallery lets you browse through photos and videos in your mobile device, social network accounts, and even those stored in the cloud. 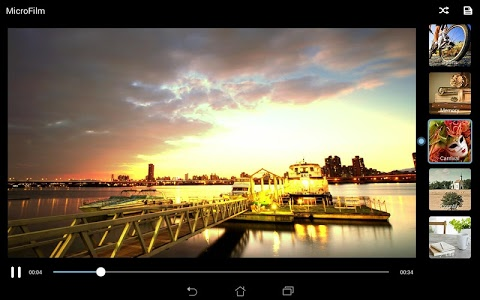 ASUS Gallery lets you get creative with photos and videos. Now, ASUS Gallery also interacts with ASUS MiniMovie which lets you use your photos to easily create fun and stunning movies. ASUS Gallery also has a Collage feature that lets you create great photo collages easily (will interact with ASUS PhotoCollage soon on some ASUS mobile devices). ASUS Gallery lets you get creative with photos and videos. ASUS Gallery’s MicroFilm feature lets you use your photos to create fun and stylish video clips. 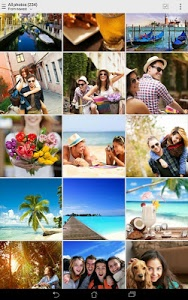 ASUS Gallery also has a Collage feature that lets you create great photo collages easily. 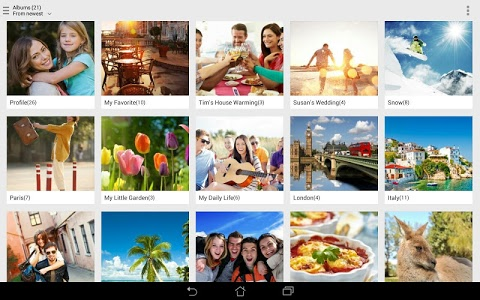 ASUS Gallery also has a Social Gallery function that lets you view photos shared by family and friends. You can view all these photos in Omlet Chat, and you can even see who liked your shared photos, as well as those shared by family and friends through the Social Gallery. Photo editing: In addition to letting you view photos and videos, ASUS Gallery also provides basic photo retouching effects and filters, editing functions, as well as beautification effects. 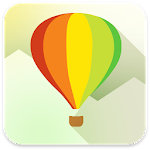 Photo Collage: Create photo collages easily by selecting the photos you want to use. 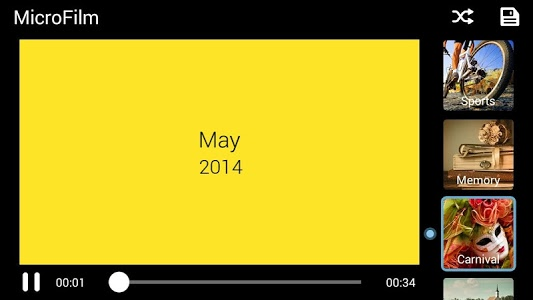 Auto MiniMovie :MiniMovie lets you create fun and stylish video clips in just three easy steps. Step 1: Select an album or photos. Step 2: Tap 'Auto MiniMovie’ in Settings or ‘MiniMovie’. Step 3: Apply a pro-designed theme in MiniMovie and make your video to share on social networking platforms like Facebook, Google+, Omlet Chat and even YouTube. 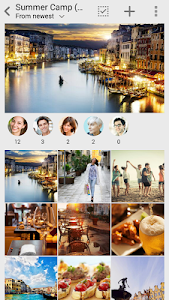 Social Gallery: ASUS Gallery’s Social Gallery feature lets you view family and friends’ shared photos on Omlet Chat. ASUS Gallery integrates with ASUS ZenUI services to give you quick, easy access to photos and videos that are stored in social networks like Facebook, Flickr, and Google+, as well as cloud storage services like ASUS WebStorage, Dropbox, Microsoft OneDrive, and Google Drive.